Garage door problems are rarely convenient, and can cause you to lose sleep at night as you worry about your home or business. When you need commercial or residential garage door repair in Webster, come to the experts first. At Action Garage Door, we have over 30 years of experience servicing and maintaining garage doors in the area. We know the effect the Webster weather can have on your garage door, and we know the best techniques to maintain and repair your doors when you have problems. 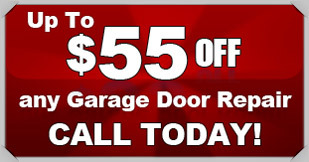 When you want the best in garage door repair services, you’ve come to the right place. We know that no two buildings are created alike, and that the garage door services will vary based on your needs. We strive to listen to your ideas and opinions and advise you on the best decisions to make for your building. Our commitment to customer service can’t be replicated by any other company, and we work hard to exceed your expectations every time you call us for garage door repair. You can count on us to be prompt, friendly, and prepared with everything we need to complete your service call. All of our work is performed in accordance with local codes and regulations, and you can count on us to always be honest and up front in every transaction. Whether you need a simple garage door repair, a new opener, or want to design a custom garage door for your new home, contact us today. We are confident you won’t be disappointed.